So I don't normally post about this stuff, but let's switch things up a little, hey? 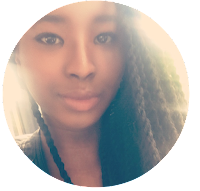 I'm going to be doing a monthly update on all things related to skin as I am trying to clear up my very (and I mean VERY) problematic skin. I wanted to share what I am doing at the moment (so I can look back at this one day) and see how it goes. 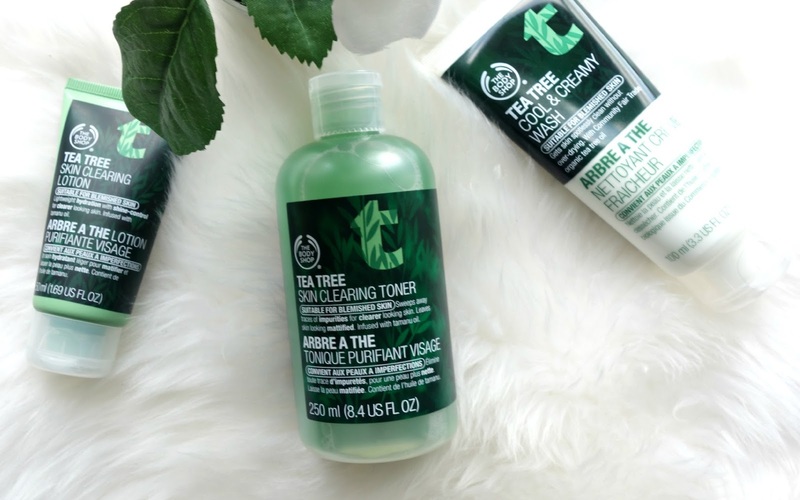 It has been two weeks and I have already seen a HUGE improvement, thanks to The Body Shop's Tea Tree wash, toner and moisturiser and also the amazing Magnitone Lucid cleansing brush*. The brush was kindly gifted to me to try out, and I am loving it! 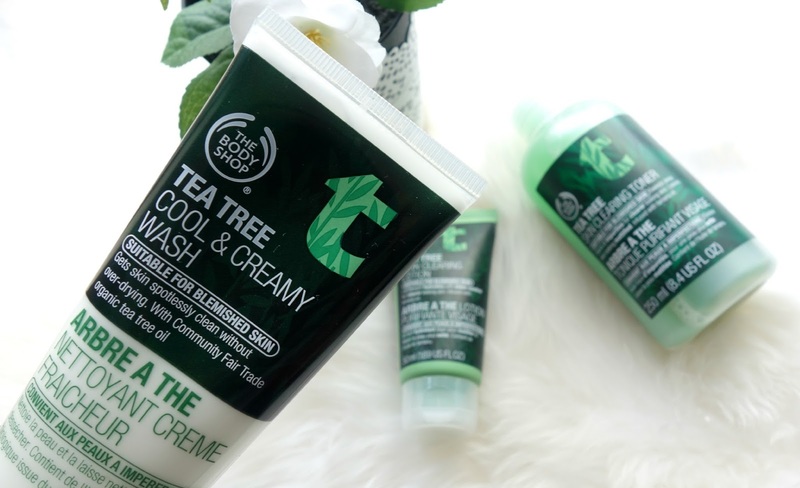 I had heard so many great things about The Body Shop's Tea Tree collection, but then again, I had heard so many great things about other products that has failed me. But this...THIS, guys is something different. It took me about 4 months to convince myself to just walk into the shop and buy the teat tree products and I regret not doing it earlier. Mainly because I was lazy to find a shop as my local one had been replaced by a shoe shop. REALLY? 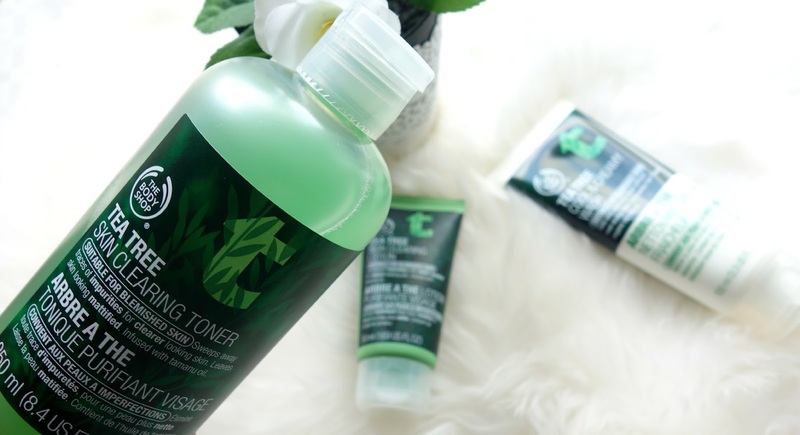 The wash makes you feel cool and refreshed, like you've actually washed and removed dirt from your face and when you use the toner afterwards, it's just bliss. When I tried it for the first time, it did sting a little, but I soon got used to it. The moisturiser is light but does it's job of keeping my face hydrated throughout the day with no dry patches or anything! I was kindly gifted this cleansing brush from the #BHTWITTERPARTY and now I cannot stop using it! 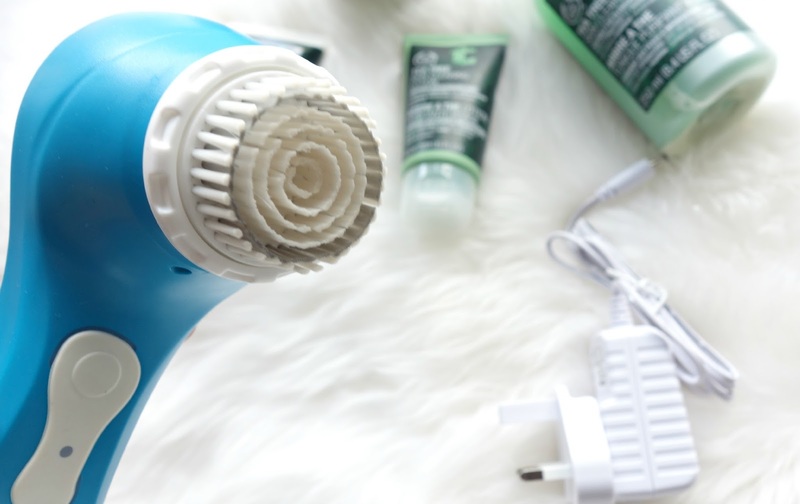 This cleansing brush claims to give you softer and brighter looking skin in just seven days. I also thought that this product was just over hyped for no reason, but I take that back now. I do...I do. It's recommended that you use the sensitive mode for the first few days so that your skin get used to the brush. When I used it the first time, I thought it was going to be rough, but I was wrong. I must say, because I'm such a noob when it comes to technology in the bathroom, I found myself racing against the timer (it beeps every time you're supposed to move onto cleaning another area of your face) and I'd still spend about 2 beeps worth of brushing on one area! ugh, I'm hopeless. So after the first few days my skin BROKE OUT. It was horrible, and I didn't even want to leave the house. I considered stopping the cleansing but then I read that there is a chance that your skin will break out within the first few days of using the brush. 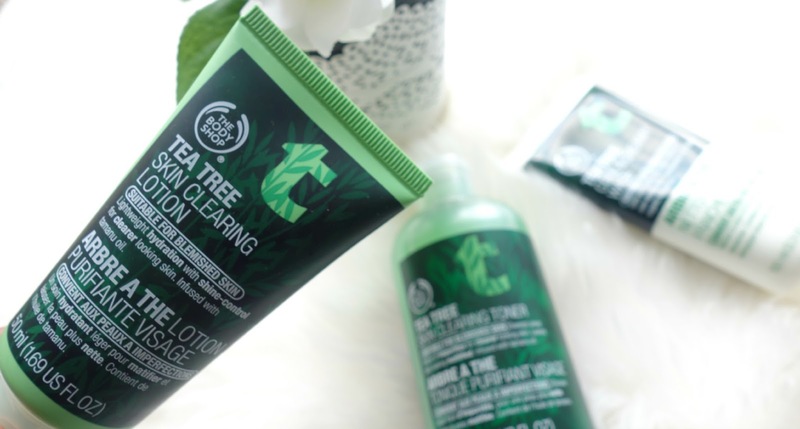 About a week and a bit later, my skin started to clear up, and I began using the tea tree range mentioned above. I do recommend that you get yourself a cleansing brush, but make sure that you're using a good cleanser and you are gentle on your skin. Do remember that I do have problematic skin, so it doesn't mean that you will break out after using this brush like I did. As always, my mom wants to try out anything I rave about, so now I have to get her one (sigh). So I hope you found this post helpful! And my skin isn't perfect so I'm still looking for tips and tricks. If you have any advice, let me know in the comments! *This product was gifted to me but all views are my own.